Transform Your Health with Thailand's #1 Superfood! Includes 40 restorative recipes for medicinal broths, congees and soups. All gluten and dairy-free! 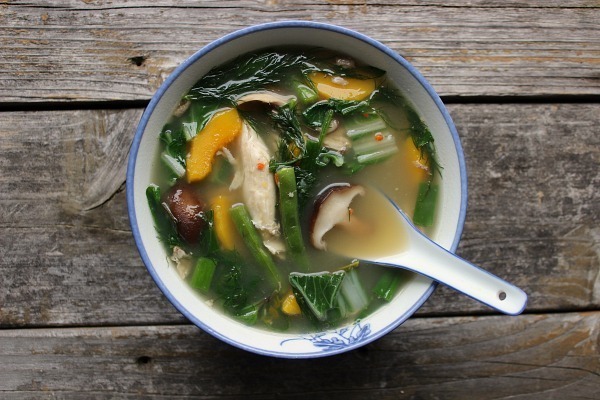 The Nourishing and Restorative Power of REAL Broth, and why Thai-style broths are easier to make than western-style broths (hint: no simmering the broth for hours on end!). Includes 4 simple recipes. How to Easily Find Thai Soup Ingredients. There are no exotic, difficult-to-find ingredients in this book! 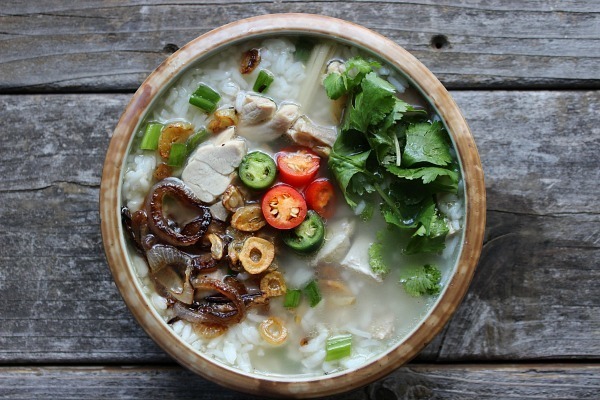 You will learn to easily find Thai soup ingredients right where you live. How to Make Medicinal Drinking Broths (which have potent gut-soothing benefits) using a variety of simple Thai herbs, roots and spices. How to Make Every Recipe Taste Incredible. 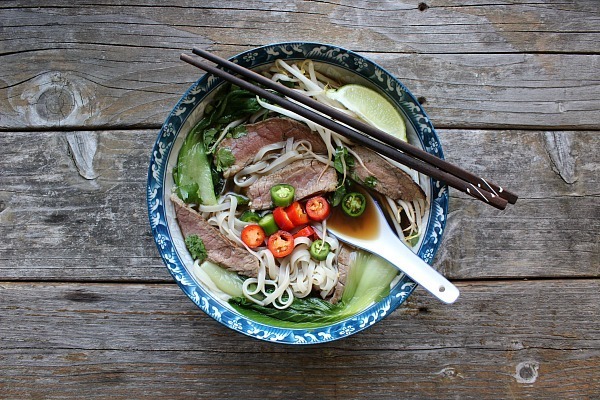 You’ll learn to season your soups to your personal liking, just like they do it in Thailand. For example, if you don’t like spicy, no problem! You’ll learn how to alter each recipe to what you like. "This gorgeously written and photographed book is filled with mouth-watering recipes that are easy for home cooks to recreate. These comforting, healthy soups offer a perfect balance of savory-salty-sweet-sour-spicy flavors, all without ever leaving home. I dare you to look through this book without dashing off to the kitchen to whip up some Thai-inspired delights that will satisfy your taste buds, nourish your body and feed your soul." 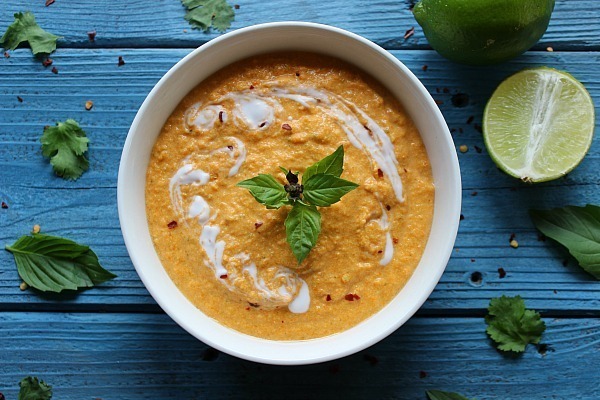 "Finally a book on Thai soups introducing us all to not only the recipes and culinary tips needed to try this exciting cuisine in our own homes, but also expert advice from a Nutritional Therapist (NTP) on how and why this food nourishes and heals." "With millions of people suffering from chronic digestive issues today, there has never been a greater need to incorporate gut-healing, whole foods into our modern diet. 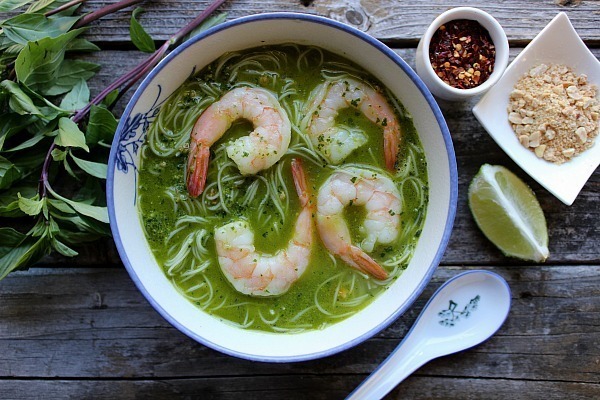 This book beautifully lays out the role that Thai soups can play in digestive support and is packed with practical, delicious recipes that any home cook can create." 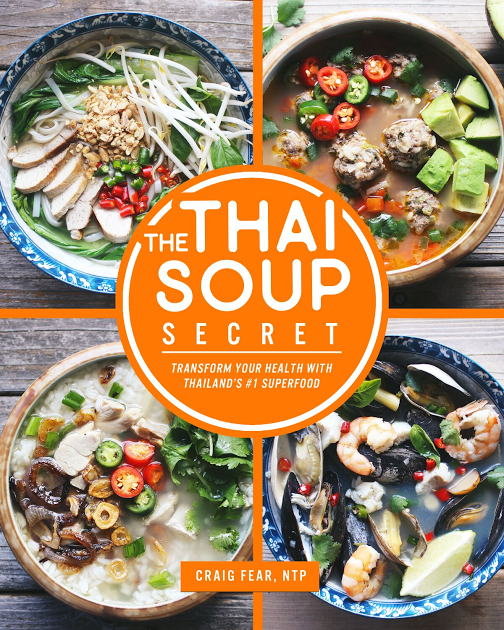 "I found Thai Soup Secret book to be informative, easy to follow and most importantly, it helped me garner insights into Thai soup cooking and demystify it for the common household family. We have a child with nut allergies, so many Thai restaurants are often a concern, but I now feel confident that I can safely create so many of the wonderful flavors unique to Thai cooking without the potential for allergic issues." "This book is packed with amazing recipes and photos that leaves you wanting to begin making them immediately. It's also much more than just a recipe book as Craig takes you through the health benefits and and all he’s learned through his travels to Thailand. I am excited to begin sharing this book with my clients so they can take advantage of the many healing benefits of Thai soups!" ​​​​​"Initially intimidated, my mind was eased when I began reading; many of the ingredients I thought would be "exotic" were already in my fridge and pantry. Beautifully written, exceptionally photographed, this book is one that I will turn to throughout the seasons to bring a little piece of Thailand to my home." In my travels to Thailand, I realized there were so many simple, delicious and healthy Thai soups that are unknown to most westerners. Over the course of several trips, I sampled, photographed, and collected dozens of recipes that I felt were easy to re-create in western kitchens. Besides being geared towards health and wellness, these recipes are also designed for people with busy schedules and a basic kitchen set up. All the recipes are broth-based with simple, easy-to-follow instructions. I have you covered every step of the way. 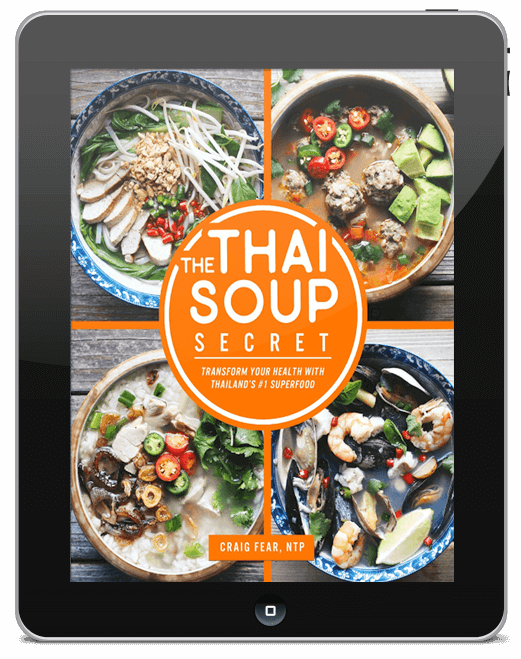 The Thai Soup Secret is available in both print and Kindle formats on Amazon. 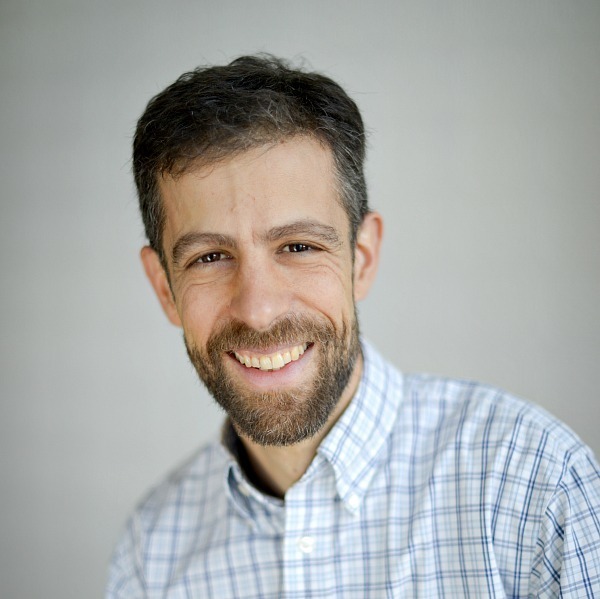 Craig Fear is a certified Nutritional Therapy Practitioner (NTP) who specializes in helping others with chronic digestive issues. Before becoming an NTP, Craig traveled extensively in southeast Asia, which kickstarted his love of broth and soup. His training as an NTP taught him how real broths and soups help calm digestive issues such as heartburn, GERD, IBS, dysbiosis, leaky gut and more. This eventually inspired him to travel back to Thailand to learn (and eat!) more. Craig is the founder of the blog Fearless Eating where he shares recipes and digestive health tips. He is also the author The 30-Day Heartburn Solution and Fearless Broth and Soups. Ready to get started? 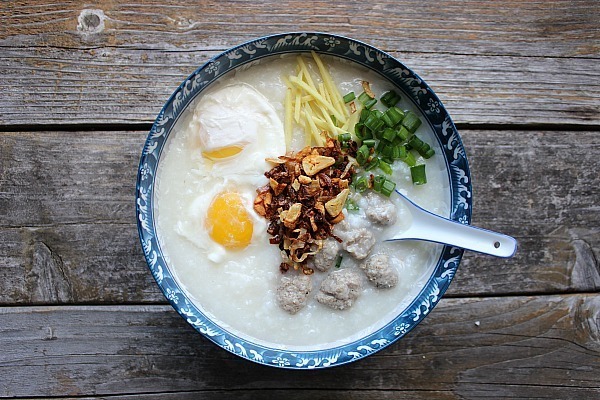 Learn the secrets to Thailand’s #1 superfood and get 40 mouthwatering recipes right now. Simply click the "Buy Now" button below.